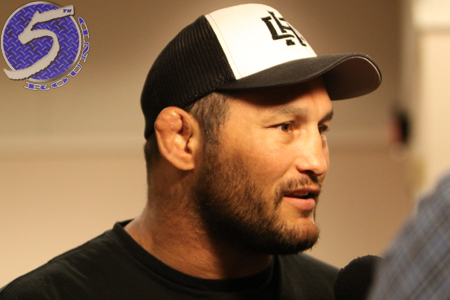 Dan Henderson (pictured) hasn’t been seen since getting choked out by Daniel Cormier in May. It appears the veteran is finally prepared to get back to work, but has very specific requests. On this week’s edition of “UFC Tonight,” it was reported Hendo wants to drop back down to middleweight, return in January and perform close to his home in Temecula, California. With those demands on the table, Henderson could fight at UFC 182 on January 3 in Las Vegas, UFC 183 on January 31 in Sin City, or if he really wanted to stay close to home, UFC 184 on February 28 in Los Angeles. Henderson only has two wins in six outings since November 2011, both coming against former UFC light heavyweight champion Mauricio “Shogun” Rua. The 44-year-old hasn’t competed at middleweight since losing to Jake Shields for the Strikeforce title in April 2010.